General purpose of this lecture is to present on Conjunctions. Conjunctions are connecting words. This is used to connect clauses or sentences or to coordinate words in the same clause. Example: And adds things together in the sentence “I like baseball and soccer.” Or also joins, but makes an option “What do you like best, dogs or cats?” Or can also pose a question. 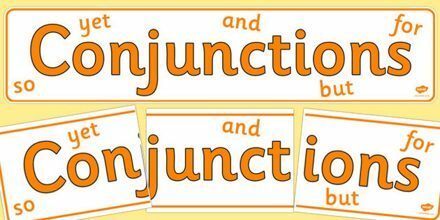 Conjunctions aren’t only and/or, they are: So, because, but, then, after,also just a (,), etc.